You have probably heard the terms TAG and LAG several times before if you have been around poker for awhile. Respectively they stand for tight and aggressive and loose and aggressive. Being aggressive is always going to be part of a winning poker strategy. However, once you move up the stakes and start encountering tighter opponents a looser strategy actually starts to become more optimal against them. In this article I am going to explain why that is the case and exactly how you can move from a TAG strategy to a LAG strategy at the poker tables. Before I get into this I want to stress that newer players should definitely start with a TAG strategy in my opinion. The reasons for this are threefold. Playing tight means that you are playing less hands which means that you will not be put in as many difficult marginal situations. This will in turn keep your variance down (the natural up and down swings of the game). 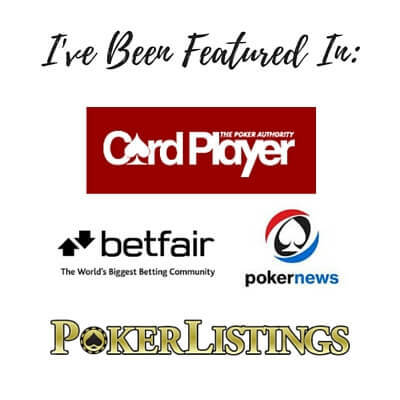 These are all very good things for poker players who are just starting out and getting their feet wet in this game. If you are new to poker, keeping things as simple as possible at the tables by playing tight and aggressive is definitely the way to go. As you start to have success and move up the stakes though to NL5, NL10 and so on, I do think that you should start to at least experiment with a LAG strategy. Don't get me wrong, TAG still works just fine but LAG is sometimes more optimal. The reason for this is that many lower stakes games these days are filled with tight nitty regulars who can easily be pushed around. Because you see if you are playing more hands, then you will put yourself in more situations to take down all the pots that they don't want to fight for. This simply allows me to get ahead and post higher winrates than they possibly can. So while you can still have a good winrate using a tight and aggressive strategy at the micros, if you want to win at the highest clip possible, then a loose and aggressive strategy is the way to go. 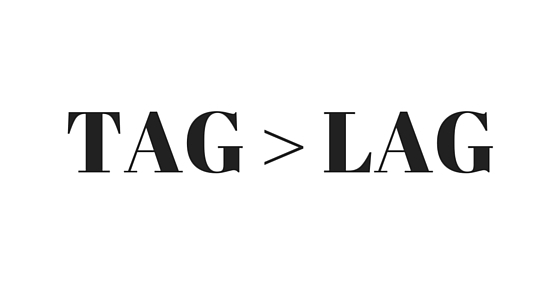 What are The Statistical Differences Between TAG and LAG? Last week I released an all new video series on how to crush NL2. As much as I tried to play TAG, my stats in that series were still something like 25 (VPIP) and 22 (PFR) which is more or less LAG. VPIP stands for voluntarily put money in the pot and PFR stands for preflop raise %. These are two fancy terms that we use with poker tracking programs which essentially mean what percentage of hands are you playing and what percentage of hands are you raising with. So I was playing 25% of the hands that were dealt to me and raising with 22% of the hands that were dealt to me. As I said, these are definitely LAG type numbers. But simple stats like this don't tell us the whole story. Let's talk about what playing LAG actually means in practice at the poker tables. How do You Actually Make the Transition from TAG to LAG? Well in order to know where you are going, you need to know where you are coming from. So first things first, what does a TAG strategy actually look like in practice? Now there are some absolutely huge caveats that come with this list. Firstly, this is totally just a general framework. If you play a hand that is not listed above from a certain position (or fold one that is), it is no big deal. Secondly, you will definitely need to make adjustments depending on whether you are playing 6max or full ring. You want to be on the looser end of this list if you play 6max (maybe even add a few hands such as AJ and KQ from early position). In contrast, you want to be on the tighter end of this list if you play full ring. It would be fine to simply fold 22-66 in early position for instance. This is fairly typical these days in full ring in fact. Lastly, you will need to make huge adjustments to this list depending on the table conditions, the opponents, the stack sizes and so on. But hopefully these general guidelines provide a decent idea of what a TAG strategy will look like from a preflop starting hands perspective. If you mostly stick to playing the hands on this list your VPIP and PFR should be fairly tight. This will make sure that you are only entering the pot with a fairly strong hand. This in turn will help keep you out of difficult spots and keep your variance low. What Hands Do We Add to Become a LAG? So you want to play LAG though huh? Well, let's see what hands we might add to this list if we wanted to play LAG. Same list as before. Added hands are in brackets and in red. So as you can see above, this is a lot more hands now. Again, this is totally just a general framework. Absolutely massive adjustments need to be made for game type, table conditions, player types, stack sizes and so on. But hopefully this gives you a decent idea of the types of hands that I would be adding preflop when transitioning from a TAG to a LAG strategy. One thing that I hope stands out to you here is that I actually did not make a lot of changes to the blinds. The reason why is because playing out of position is going to be unprofitable no matter how you cut it. Therefore, no matter how loose and aggressive I try to play, I still always want to keep things relatively tight from these positions. What Advantage is There in Playing Looser Preflop? So you might be thinking to yourself at this point though, great so we are playing more hands now. How does this actually help me win more? Well as I alluded to before, there are simply armies of weak nits at the micros these days who are playing on 16 tables and basically waiting for the nuts. Since they play so tight (and therefore never open themselves up to making big mistakes like the fish do) we will never make a huge profit off of them. This is in fact exactly why I constantly preach on about table selection and finding the bad players to no end on this blog. However, when the regs play this tight and give up on pots so easily it does give us an opportunity to make some small profit by constantly pounding on them preflop. And postflop for that matter as well, which I will get to in a moment. So firstly, playing more hands preflop is going to allow us to steal the blinds more often. Even though it is only a couple of big blinds, if you can steal the big blinds even just once more per 100 hands you could potentially double your winrate. In fact, if I see two of these huge nits in the blinds and it is folded to me in late position, then I am going to open the pot even wider than I stated above. If they are literally waiting for the nuts and I also notice that their Fold to Steal % is high (80%+) I might actually just try to steal the blinds with any two cards. I will also be 3Betting light with a lot of the hands listed above as well. This is especially the case if I notice that my opponent gives up to 3Bets a lot. The stat that you want to look for here is Fold to Preflop 3Bet. If it is at 80% or 90%, then I will be 3Betting them light very frequently. By the way, if you don't know what I mean with these HUD stats I have written a massive post which outlines exactly how to setup your HUD and every stat that I use. You can even download my custom HUD setup for free and start using it yourself right away at the tables. To check out that article, click here. One of the biggest keys to playing loose and aggressive poker is knowing when to back down. While you will be able to run over many of the weak tight regulars at the micros, when they finally decide to fight back, you need to realize that it is often because they have you beat. 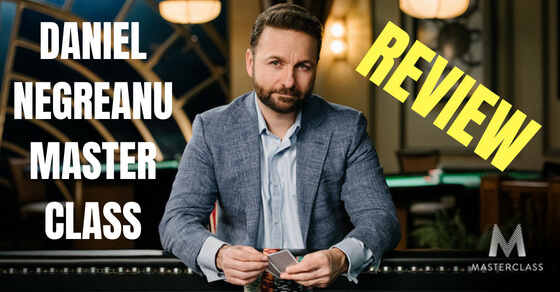 You will also get 3Bet and 4Bet lighter by the better regs because they will take notice of just how many hands you are playing. This is a bit trickier situation and has to be dealt with on a player by player basis. But the bottom line is that most regs at the micros are of the weak/tight variety. You need to have respect for them when they start making aggressive plays back at you. One of the biggest downfalls of many potentially good LAGs is not knowing where the brake pedal is. You can't win every pot in this game and the answer is not always infinite aggression. Here for instance is a perfect example of a LAG player who just doesn't know when to slow down and he ends up paying big-time for it. Knowing when to give up (or at least slow down) as a LAG player is one of the biggest keys to mastering this play style. How Do I Play LAG Postflop? So far I have only talked about preflop play in this article. There are many important aspects to a LAG postflop game as well. Firstly, you should be CBetting and barreling quite a bit especially versus the weaker regs that I have been discussing throughout this article. 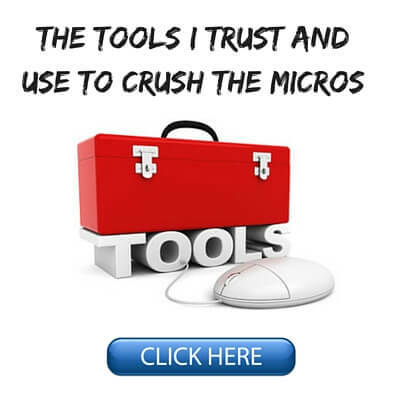 For a complete breakdown of every type of regular you will encounter at the micros (and how to exploit them), click here. Regarding stats, these weaker regs will often have a Fold to Flop CBet of 70% or higher. Their Fold to Turn CBet will be 50% or 60% as well. Since we will only be CBetting between 1/2 and 2/3 of the pot, we can easily turn a profit by frequently betting against players who fold this much. Once again, against the better regs who float and bluff raise more, things do become more tricky. 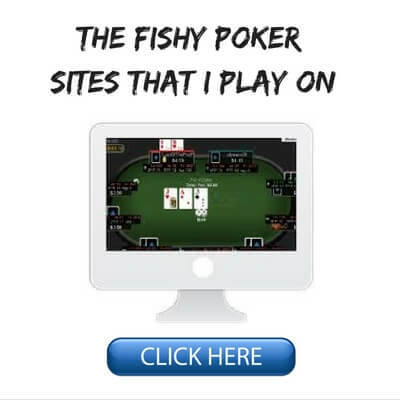 You can't just auto CBet versus these types of players and expect to turn a profit these days. So you will need to mix in more checks, check/raises and check/calls. If we are the preflop caller we will also want to be applying more pressure postflop as a LAG player. This means that we will be floating more and raising more. We can look for the weaker regs once again who display the signs of "one and done" play (i.e., they CBet the flop and then give up a lot). These players are easy to spot because they will have a big gap between their Flop CBet% and their Turn CBet%. If you see somebody CBetting the flop at 70% for instance but only following it up on the turn at 40%, then you should be floating the flop wide and betting the turn when they check to you. There are many more aspects to LAG postflop play such as double floating, semi-bluff raising the turn and bluffing the river. All of these require precise reads but this is where effective HUD use comes into play. Once again though, the ability to also know when to back down postflop is very important for a good LAG. When the weaker regs in particular start tossing big portions of their stack in the middle, this is usually a clear sign that you are beat. Unless you have something really good yourself, you need to know when to back down. Transitioning from TAG to LAG play in poker is a natural progression that many top players make. The logic is simple. The more hands that you get involved in, the more that you can potentially win. However, as I mentioned off the top, there is absolutely nothing wrong with keeping it tight especially if you are new to the game and playing at the micros. In fact it is preferable. Playing tight and aggressive will keep the game simple and prevent you from getting involved in many of the difficult decisions that LAGs face. This is extremely important for newer inexperienced poker players. Also, your downswings won't be nearly as bad as they are for a loose and aggressive player. On the flip side of course though, your upswings won't be as good either. Learning how to play an effective LAG game is not something that happens over night and it is definitely an "advanced" approach to the game. Take it slow and experiment at first by simply adding a few more hands here and there or by making one or two more moves postflop. This strategy is really something that takes time and experience to master. 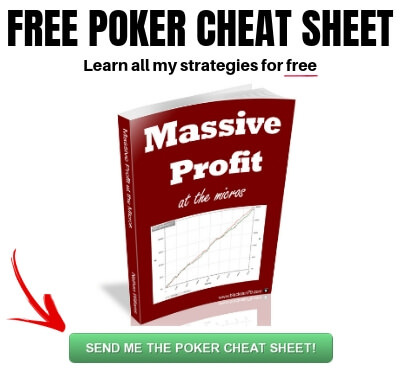 If you want to know the strategy that I used to create some of the highest win-rates in online poker history at the micros, make sure to grab a copy of my free poker ebook. Lastly, let me know in the comments below what you think of a LAG strategy. Have you tried making the switch? If you found this article helpful, please do me a favor and hit the "Like" or "Tweet" button below! Nice article Nathan, to me it feels a little like transitioning from playing fullring to 6-max. At first it was a bit overwhelming due to the difference in hands people tend to play and the aggressiveness of the game in general, especially to a nitty guy at those fullring tables (guilty!). After a lot of thought I started playing NL10 on 888poker and so far the field is pretty soft, that and there are enough tables to table select effectively I think. Keep up the good work! PS: Now that I finally feel like I left NL2/NL5 behind I'm thinking about buying Modern Small Stakes, probably in the next couple of weeks. Take care! Thanks Jorge. Ya, it is something that takes a little time and getting used to. Glad to hear that you are moving up! when I read "By the way, if you don't know what I mean with these HUD stats"
I thought the next part would read "you definitely are not ready to be transitioning to a LAG style just yet". lol. I really enjoyed the NL2 Mastery series and I'm hoping you do a similar set of videos for NL5, NL10, NL25, NL50 and who knows, maybe beyond? 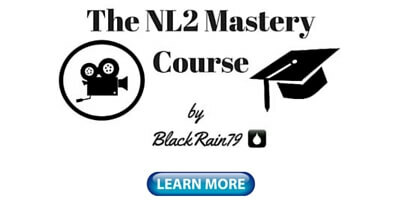 I am glad that you enjoyed the NL2 Mastery Course as well. I do plan on making more video series like this in the future. Should be at least one more before the end of this year. Thank u first, so useful article as much as everytime :) I wanna ask 1 point. What does ''good suited connectors'' and ''good suited Aces'' exactly mean? By good suited connectors I mean something like 76s, 87s, 98s, T9s and JTs. By good suited aces I mean something like A7s, A8s, A9s etc. Depends on the game but in my experience most live 1/2 games have a lot of loose calling stations in them. You should just play a more standard TAG game in those conditions. 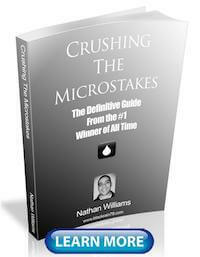 Nathan, thank you for another article full of great advice. At this point I can't say that I've found it useful (my fault) but I do believe what you are saying. I've been playing poker (mostly on line) for around 12 years (I'd say around 20 hours a week). I usually play sit n go with the occasional MTT. I've always tried to play a TAG style. 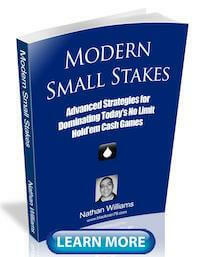 Since reading your articles lately I've found myself playing more cash games and trying to adopt more of a LAG style. My last couple sessions were brutal for me. I am convinced that LAG is the way to play but as you stated in this article and others if people who fold a lot are playing back into you Let it go. I probally was playing more like a maniac than LAG. I also need to remember other things you say like tilt guard (don't pkay when tired or bothered by other things) and use a HUD. Again thanks for the very good, wise, strategy tips. LAG is not easy to play and the swings will be large. You can definitely get by with a TAG game at the micros or even at higher stakes. The winrate ceiling will always be higher for a LAG player though so it is an option for advanced players.